MommyMaestra's Back-to-School Fiesta! 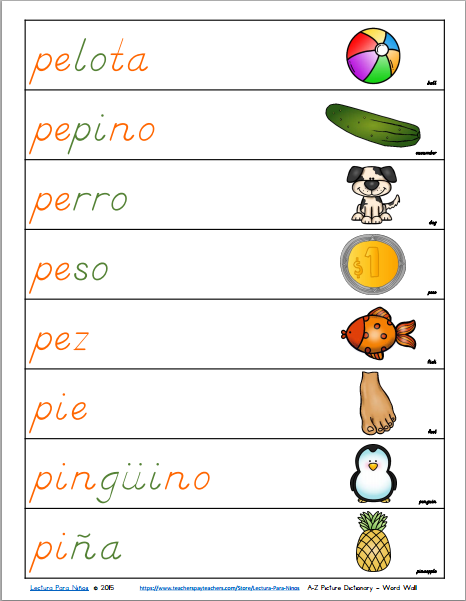 continues with August's freebie from our wonderful sponsor, Lectura para niños. 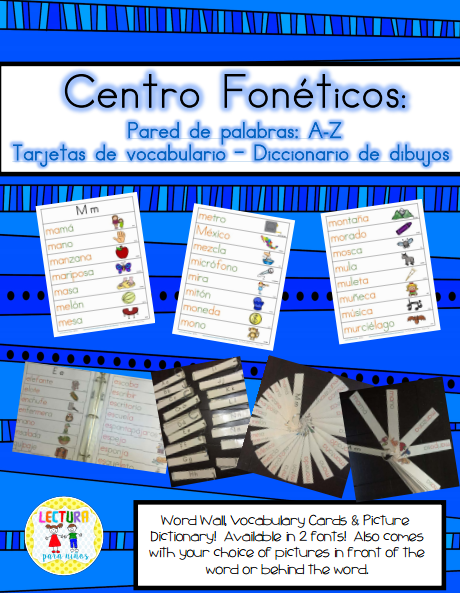 It can actually be used three different ways: as a word wall, vocabulary cards, or picture dictionary. This freebie is part of a bigger Word Wall! Originally, I had used this just as a word wall and picture dictionary. I would put these words up under the alphabet letters we have from our curriculum. Recently, I decided to print additional sets for my classroom and put them on rings. The students can take the words for the letter of the week we are practicing and practice with their elbow partners during center time. They LOVE them! They take ownership of them being able to cover the picture on the cards and reading the words with their partners! So much fun! I hope your readers enjoy as much as my students have! There is another freebie for the letter M on my TPT page as well. The full version for all of the letters is found here!